It's time for the August Sneak peeks from Taylored Expressions! Can you believe it - it is August!! Say whaaat?!! How did that happen? Well, this week we at Taylored Expressions are excited to celebrate the beginning of August with some awesome new stamps and dies! Little Pony cartoon! And cue the theme song in my head to start playing! 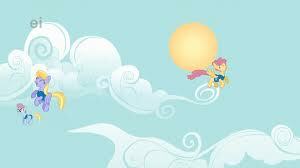 I love watching the My Little Pony cartoons with my kids - they both love it - it is so well done! At the beginning of the cartoon, there is an awesome intro with awesome swirly clouds and when I kept seeing the clouds, I kept telling the kids - those are some fantastic clouds and I wish I could make them into a card - and hence started the process to create the Build a Scene Swirly Clouds dies :) I think I squealeddddddd in pure delight when I finally got to hold the dies in my hand and started cutting them out - they are so swirly and whirly and fun and whimsically delightful!!! 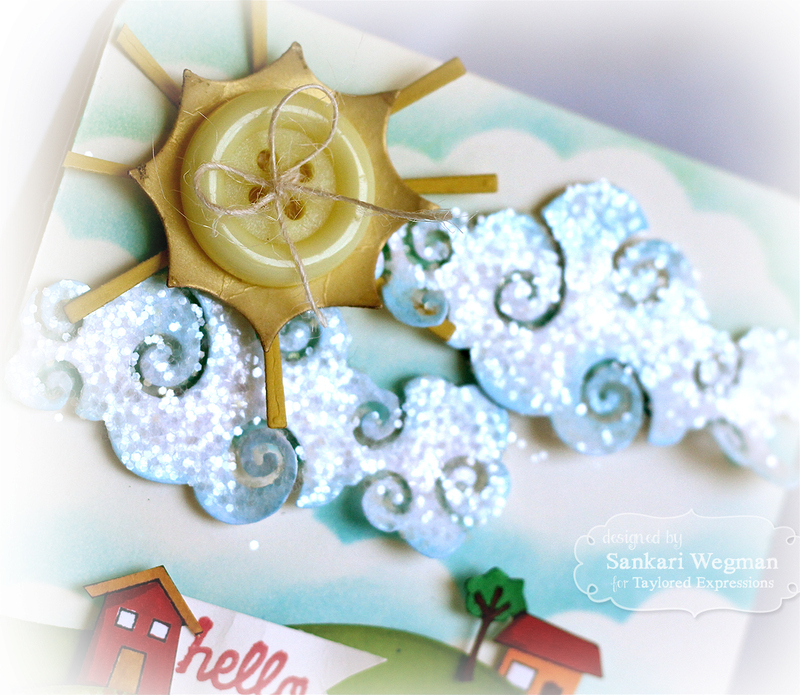 Here is a closer peek at the clouds - the bottom base of the clouds were made using the Cloud Border die and then ontop of it I used the Build a Scene Swirly Clouds - There are also the Build a Scene Sunshine dies that come with different kinds of suns and ray options that you can mix and match together :) I have been wanting something like this for so long - and love the way it came out!!! 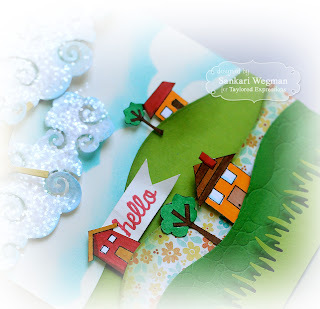 Here is a closer peek at the Build a Scene Rolling Hills dies that I cut out using different sheets of green card stock and some DP from my stash. I also used the Waves and Bubbles Impression Plate to add a little texture to the hills - somehow the Bubbles Impression Plate on the hill reminded me of the Hobbits and their cute little village of Hobbiton. And speaking of pure delight! 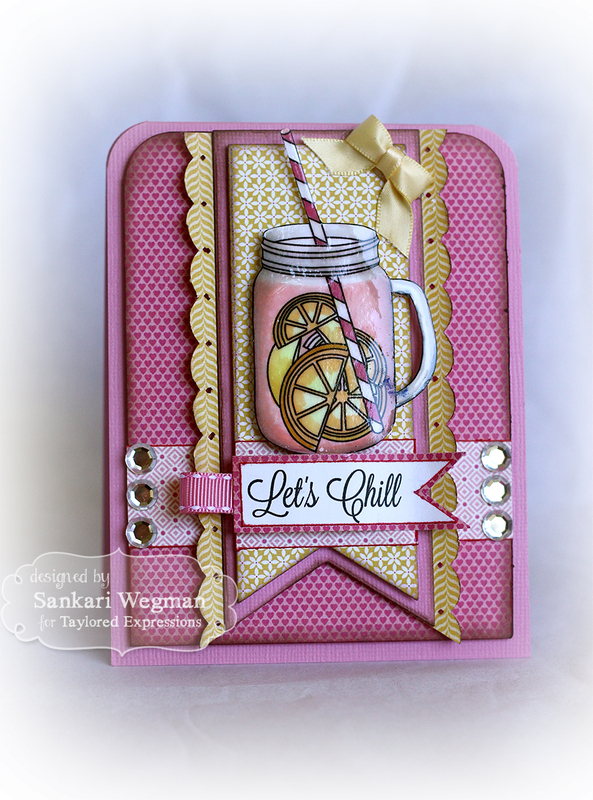 How about some sweet delicious pink lemonade on this glorious August morning using the new Hey, Sweet Tea stamp set?! There is nothing quite like a glass of fresh lemonade on a summer's day - I remember making fresh lemonade with my mom - and even as I write this, the thought of fresh lemon juice being squeezed makes my mouth water! Not only do I love the lemons and lemonade images in this set, I also love that this set has a mason jar cup with a handle! ACK! I love drinking out of mason jars - that's what we have in our house for drinking cups :) In college I used to have a mason jar with a handle that I got at a second hand store that I would use to carry my hot tea in the morning to class (I would always have some Plantation Mint tea and I still remember walking with my mason jar cup across campus with my hot mint tea in one hand my books in the other hand in the cool crisp fall air. The stamp set comes with the mason jar and all the images individually that you can mix and match to create your own special drink. I love the lemons, ice cubes with the straw coming though - makes me want a cup right now!! This is an amazing release, so please stop by all week to check out all the samples - I can't wait to see all the lovely creations from the wonderful Baker's Dozen DT and our sweet guest designer - please hop with me and check them out! Thanks so much for stopping by today! Please come hop over tomorrow for more sneak peek fun! Pretty cool creations. I love these. Sankari - you are, indeed, the Queen of Scenes and I'm so excited for you to see your dies become a reality! 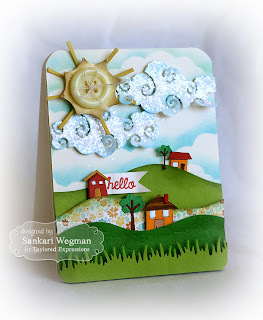 Love love love your card today as I love all the scenes you create! 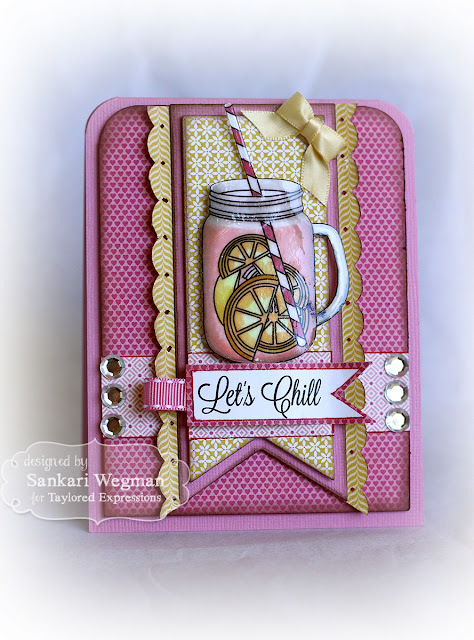 And your pink lemonade card is totally adorable too! Oh my...what a beautiful scene using all your awesome dies...I looove this, Sankari!!! 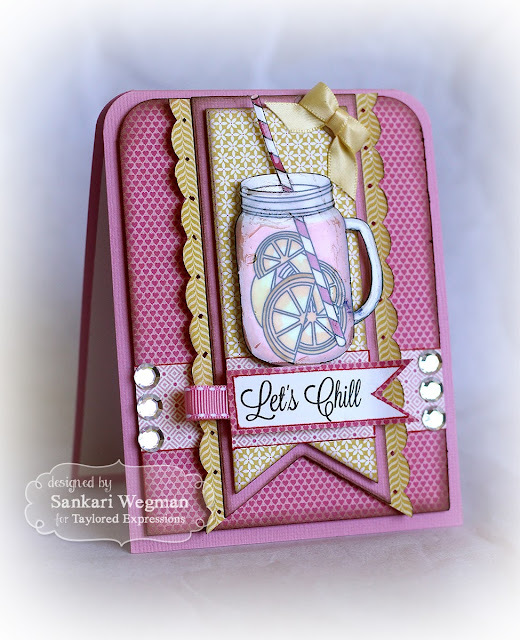 Your Hey, Sweet Tea card is gorgeous, too...you have used such pretty colors and papers and what a great idea to add the glaze!! Oh my Sankari! These are just fabulous! 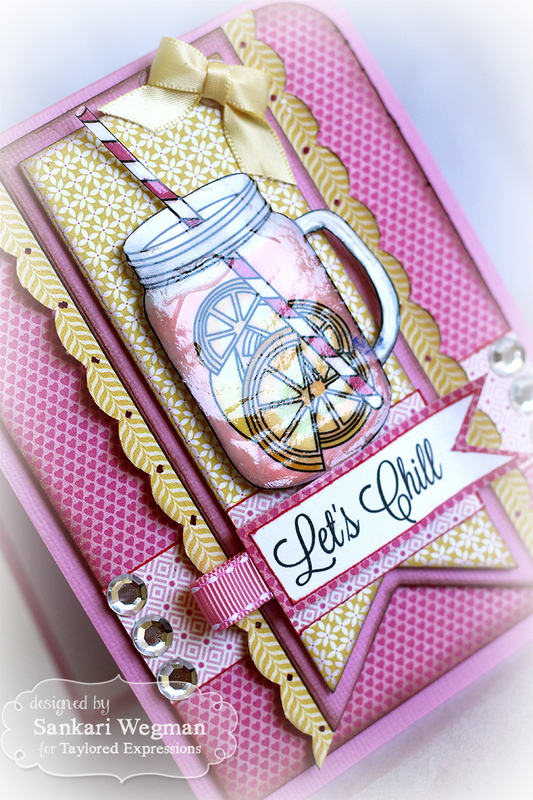 I love the details and layers in your Build a Scene card and your gorgeous pink lemonade card - that is so fun! Fabulous cards, Sankari! LOVE the BAS dies and how you used them! And your lemonade looks oh so sweet! Sankari, your clouds are so so so sweet and I had to giggle when you cued in the MLP theme song! I LOVE your lemonade too, wow, makes me want to go make some right now! Hugs!!! Love the "Let's Chill" card!! Your scene with the clouds is adorable! !